And then this one for the Blizzard, which is what really drew me into Dairy Queen beyond the fact that it was the only ice cream parlor in proximity to the little beach house my grandparents took us to every summer with our cousins. I love this commercial though. I mean, check out the kid’s face on the left as he’s turning that Blizzard upside down. I don’t think that kid got too much acting work after this, do you? He looks like he’s about to utter an expletive in fear that the Blizzard will slide right out of that cup. And how about that rockin’ jingle, huh? First I started with the recipe. 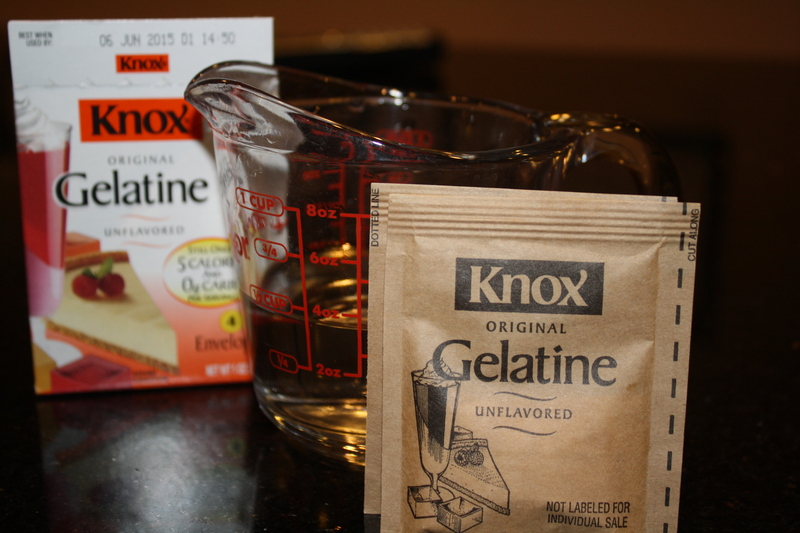 Soak Knox gelatine in cold water. 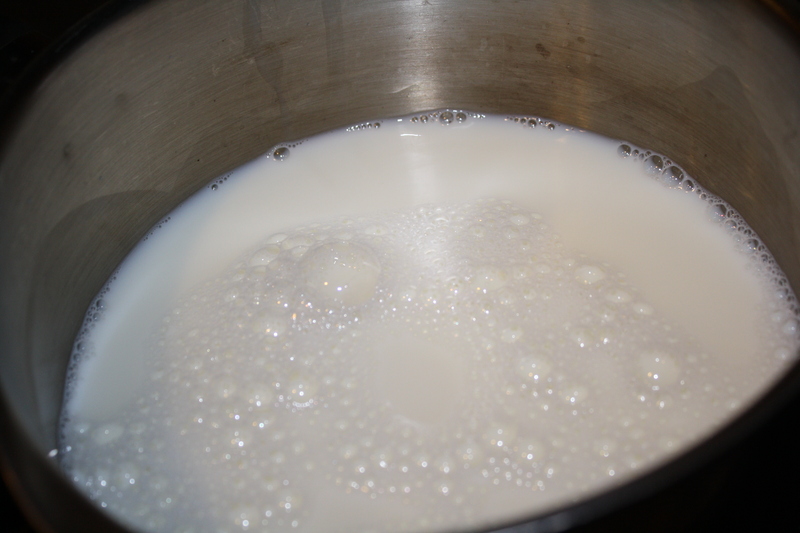 Heat milk, but do not boil. 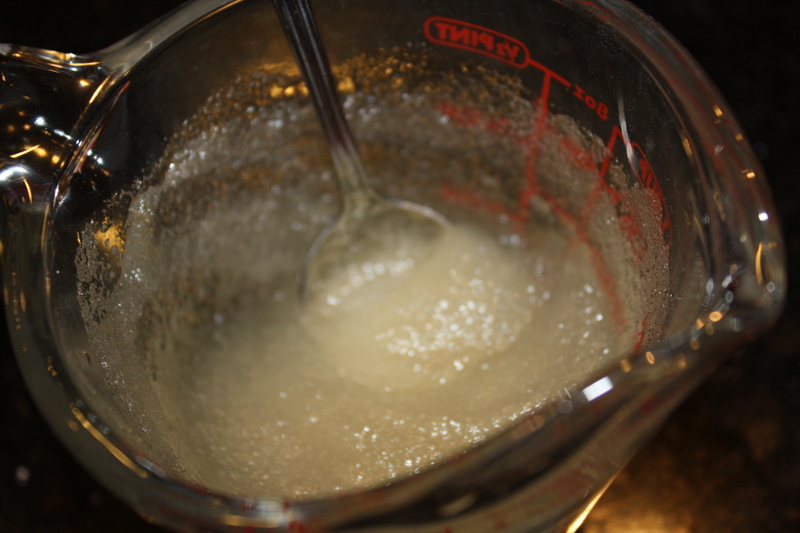 Remove from heat and add gelatine, sugar, vanilla extract and salt. Cool and add cream. Chill 5 to 6 hours. 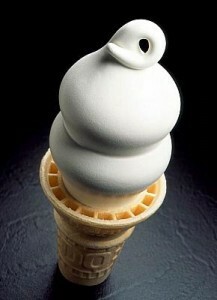 Pour into a 4- to 6-quart ice cream machine and process as per manufacturer’s instructions. Though I had never worked with gelatin before. 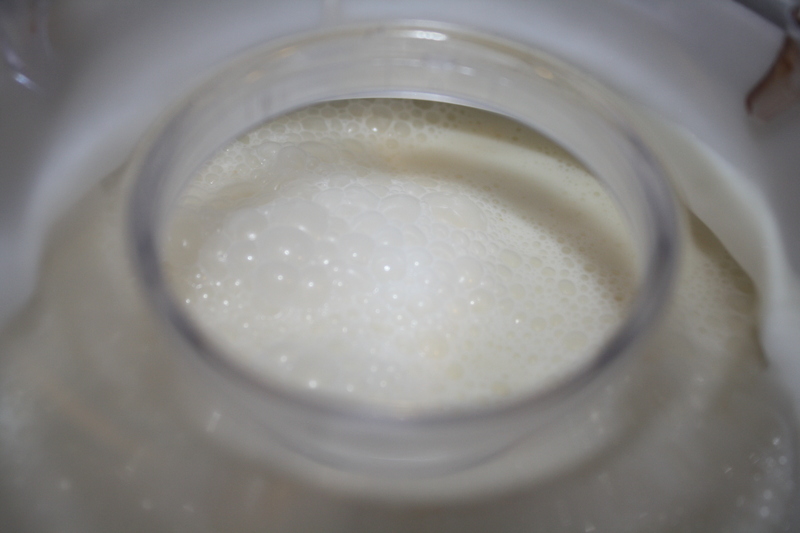 First I heated the milk, but I kept it on low, and really only brought it to slightly above room temperature. While that was on the stove, I mixed the gelatin. According to PETA (and I am sure other sources): Gelatin is protein obtained by boiling skin, tendons, ligaments, and/or bones with water. It is usually obtained from cows or pigs. Ew. 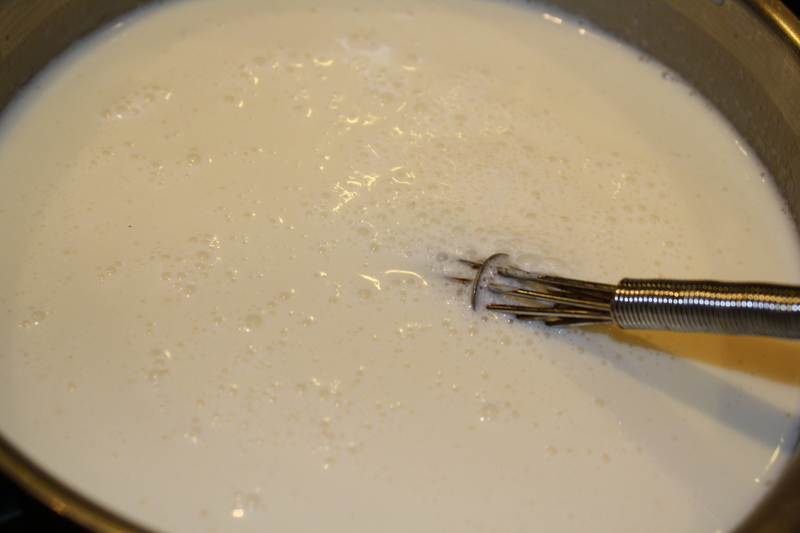 And then, I removed the milk from the stove and added the other ingredients. 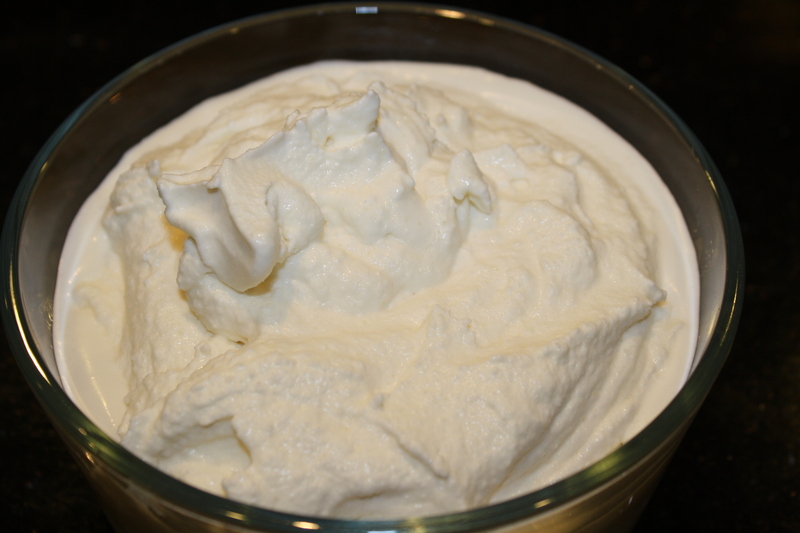 Once it had cooled, I added the cream and chilled it until it was time to go into the ice cream machine. It’s also when I realized that the recipe makes way too much ice cream. You could (and should) cut all of the amounts in half, at least if you have a smaller ice cream maker like I do, because only half of the mixture will fit into the machine. I wound up making it in two batches. And then we got to churning, and after about twenty minutes, we got a substance that was more like gelato than DQ, but it was still pretty yummy. And it was still good after it was frozen as well. Yes, very tasty, though, I am not sure what purpose that gelatin serves. 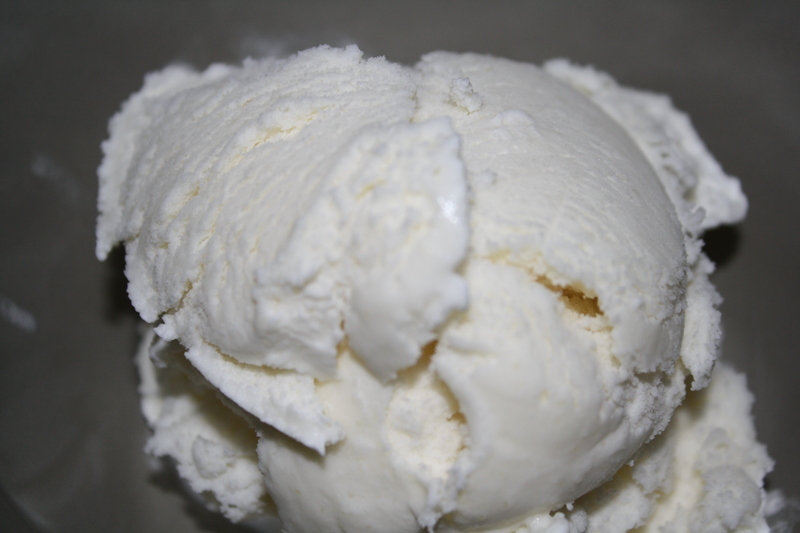 I mean, I have made lots of ice cream without gelatin, and the consistency was no different. If anything, this ice cream was a little more crumbly once it had frozen than other frozen treats I have made.